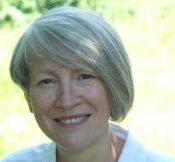 Karen qualified as an educationalist in 1984 before working for a number of voluntary and statutory organisations in the UK and overseas. She devised and delivered the education and community service at Hat Works Museum in Stockport before moving into marketing and fundraising for various arts organisations in the North West. 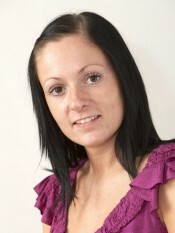 She joined Being There in 2003 as Marketing & Fundraising Manager, becoming Operations Manager in February 2006. 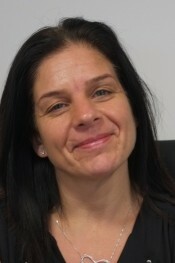 When Keith was recruited to overall Operations Manager in 2008 Karen moved to a communications and development role. In January 2017 took on the role of General Manager (Acting) with appointment to the full role in September 2017. 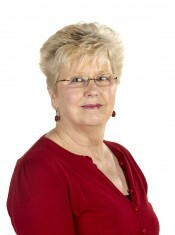 Rosalyn was born in Stockport and is married with a young daughter. She studied at Salford University and gained a degree in Business Studies. Following on from this she started a temporary role which turned into to a permanent long term role in the print industry as an account manager predominantly working in outdoor advertising for almost 11 years. Rosalyn decided a change in career was needed and wanted to move into a more caring industry; into an area which supports and benefits the community. 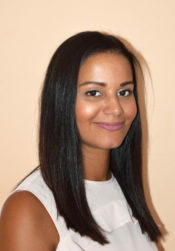 Rosalyn joined Being There in August 2017 as financial administrator. She was promoted to the position of Financial Manager in 2018. Rosalyn was impressed by how the charity supports clients and relieves some of the pressures that they are experiencing. You may see her helping out at some of the social groups and events. Jeff was born and lives in Salford. Jeff worked in the construction industry as a quantity surveyor for over 40 years. Jeff is married and has two daughters and one granddaughter. Jeff has been a home support volunteer with Being There for over 18 years and has recently become a driving volunteer. Jeff is also a fundraising ambassador for St Ann’s Hospice in Salford. When the opportunity came up to work for Being There as support services assistant Jeff was delighted to help the charity in a role that is both very rewarding and enjoyable. Jeff is also responsible for volunteer recruitment at Being There on a part time basis. 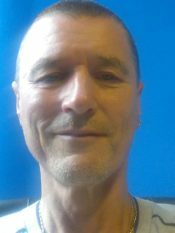 Jeff’s outside interests include playing tennis and racket ball and enjoys supporting his local rugby league team Salford Red Devils. 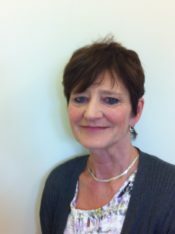 Margaret spent 25 years working within the NHS in Manchester, latterly as PALS and Complaints Co- ordinator, resolving complaints and concerns and providing help and support for patients, their families and carers on all aspects of their NHS care. Margaret has been volunteering for over 30 years both in the UK and overseas and has had the privilege of working in Peru and Tanzania and in 2012 was one of 70,000 Gamemakers who made up the volunteer workforce of the London 2012 Olympics, working at the Olympic Stadium – an experience Margaret says she will never forget. Margaret has been a volunteer with Being There for over 15 years, working mainly in home support, visiting people in their homes and providing much needed emotional and practical support. Now working for Being There as one of two part time Branch Managers at the Salford branch, a role which Margaret says she finds very enjoyable and rewarding. Paula joined the Being There team in July 2017after previously working for a number of national charities in a variety of roles including developing and managing services for people with cerebral palsy, dementia and stroke survivors. Her most recent post was with Prostate Cancer UK and involved influencing and campaigning for better treatments for men with prostate cancer. In her spare time Paula volunteers for a national charity which provides emotional support to anyone in distress, struggling to cope or with thoughts of suicide. After many years in the voluntary sector, Paula is well aware of the positive impact that voluntary organisations and volunteers can make to someone going through a difficult time in their life. 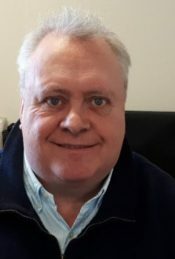 Iain is the newest member of the Being There team having joined as a Volunteer in February 2018, initially providing transport and later also Home Support for Clients in Salford. He takes great satisfaction in providing practical support for Clients in need, and seeing the resulting relief and appreciation. He is single and lives in Worsley. 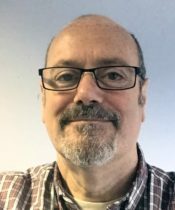 Iain studied Chemistry and worked in the Paint Industry for 15 years, which included a number of years living in Germany working as Export Manager. He latterly worked as a Business Development Manager in the Food and Pharmaceutical Industry for 25 years before retiring early in 2017. Having played Rugby and Squash, he retains a keen interest in sport, and also enjoys walking and reading. Suzanne joined the Being There team in January 2016 after previously working for a national mentoring and befriending project. Suzanne has supported volunteers in a range of roles and also provided emotional support to those facing difficult and personal challenges. Suzanne feels it is important to give those facing a life limiting illness positivity, encouragement and empowerment and has seen firsthand the positive changes for those who have been supported to take control of their own lives. Suzanne has worked hard to develop a new ‘Being There’ service in Tameside and Glossop and she became full time there in October 2018 having supported Salford for two years. In her spare time Suzanne volunteers for a local residents group working to create a green environment for the benefit of the community and also enjoys fundraising for charity. Suzanne has completed 5 and 10K charity runs for Cancer Research UK and also ‘Tough Mudder’ raising funds for Help for Heroes. Rebecca joined Being There in October 2006 to provide some much needed temporary support for branches. She became a permanent member of staff when she was appointed Finance and Administration Assistant in April 2007. Rebecca loves helping at the support groups and social events as she sees how important these are for clients, allowing them the chance to get out for a few hours, make new friends and forget their illness for a little while. Rebecca enjoys working at Being There because every day is different and she finds great satisfaction in knowing she is helping to reduce stress for people by arranging transport to hospital appointments or just being somebody they can talk to. Les has been with Being There for just over three years. Previously, he worked for a large well known company in Trafford Park for 25 years and then spent a couple of years as a self employed Locksmith. He is married to Julie and they have two grown up children and two growing up Grandchildren. As a volunteer Les does home visits and respite sitting. He also helps out at the twice monthly support group in Salford. He enjoys walking, especially with his chocolate Labrador, Achilles. In January of 2017 he added to his voluntary role and took on the role of SSA, providing cover for holidays and sickness working mainly from the Salford but sometimes travelling to the other branches. Les says he is really enjoying the work and finding it very interesting and fulfilling.